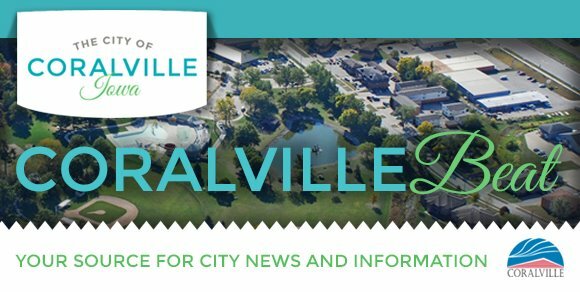 In tandem with the recent redesign of the City of Coralville website, the Coralville Beat is now a restyled, mobile-friendly newsletter with a responsive design for easier viewing on mobile devices, social media sharability, and online access in case you miss your email. Enjoy! List your sale, or find a deal! 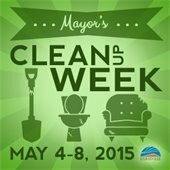 Sale maps and a grab-and-go breakfast are available at the Recreation Center starting at 8:00 am on May 2. Thin out your files and bring up to two boxes of personal papers for shredding in the mobile shredding truck! Portions of 5th Street between 1st and 10th Avenues are closed until mid-August for street improvements and flood protection projects. Recent and upcoming work on 5th Street includes gas main relocation, new water main installation, relocating overhead private utilities to underground, and pavement removal. On Coral Ridge Avenue, work continues on the new northbound lanes, trail paving, and a retaining wall. At least one of the two new northbound lanes is expected to open to traffic in May, with both lanes open to traffic in June. Updates about the projects on 5th Street and the Coral Ridge Avenue project are posted each week at www.coralville.org/projects. 1512 7th St., Coralville, IA 52241. 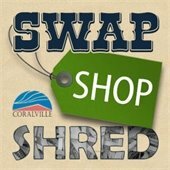 The Coralville Beat includes links to City of Coralville news articles. Links are active on the day of publication, however, some links may no longer be active if viewing past issues of the Beat.